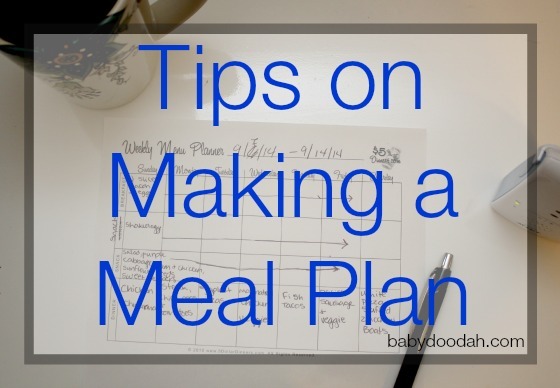 Tips on Making a Meal Plan - Baby Doodah! 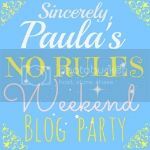 It’s been a couple weeks since I join in with the Sunday Meal Plan Link-up, but I’ve decided to join back-up. Really, the only reason I hadn’t posted my meal plan in the last few weeks was laziness. Seamus and I always make a meal plan! It’s our way of attempting to save money and not worry about what we’ll eat each night of the week. As I flip through other blogs and even other bigger sites around the web, I am noticing what a hot topic meal planning is right now. It’s something that Seamus and I have been doing since we started shopping together 6 or so years ago, so it’s really nothing new to me. We haven’t always written it down, but, as with all things, time progresses and improvements are made. Our system works really well for us, and the bickering that used to occur when we’d meal plan, has pretty much ceased to exist. It’s because of that, that I decided to share our method with you, in hopes that it will help someone else who is struggling to meal plan, or just doesn’t know quite how to get started. Choose a Meal Plan Template – There are SO many options out there for meal planners. Heck, if you just use google images, and search Meal Plan templates, thousands will come up. Flip through them, choose your favorite, but as your meal planning evolves, so might your template. So, don’t feel stressed if what you originally chose doesn’t continue to work. 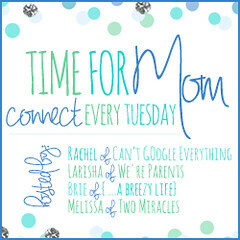 This is the link to the one we use, I am a fan of having the days of the week at the top and the meals on the side. Have a Few Standby Meals – Almost every week, we have one or two meals that we make. These are meals that are quick to throw together, and help to easily fill in the gaps on your empty menu. Try Out a Few New Recipes – Not every week, but almost every week, we try to find a new recipe to make. Sometimes these are wins, but sometimes they’re EPIC fails!! Either way, it helps to make meal planning go quicker. Plan For at Least 6 Meals – We always plan for 7 meals, but I recommend doing at least 6. This will allow you enough options to rotate, in case you don’t feel like eating something, or just don’t have the time. Don’t Assign a Specific Meal to a Specific Day – Our meal plan is very open – we have 7 meals chosen, but none of those are tied to a specific day, unless it’s a more complicated meal, and then it gets saved for weekends. We love having the flexibility to make whatever we want on whatever day we want. Make a Grocery List – Once you’ve made meal plan, the next step is putting all of the items that are needed in a list. I prefer using apps because then Seamus and I can sync them up. That way we can both add to the list, or delete as needed. Wunderlist is our current favorite for making all of our shopping lists! Be Consistent! I’m sure you won’t enjoy every moment of meal planning (though, some people do), but do it anyway. You are bound to save money, eat healthier and lose weight by default. And if one way doesn’t work, switch it up and try another. I promise you that after about 6 weeks of meal planning, it will be old hat and you will just do it. Here’s our Meal Plan for this week!! It’s a week full of tasty eats, that I cannot wait for!! Have you ever meal planned? If you have, do you like it or loathe it? I can never seem to stick to a meal plan if I plan what we will eat for which day. I just make a list of meals – some more difficult some really quick. That way, I can pick what I will cook when depending on how busy we are. I always leave a day open for leftovers/grab night, too so we don’t waste the extras that seem to build up. Hi Yuliya! We’re the exact same way, if we say we’re having burgers on this night and chicken on this one, we never stick to it. We end up ordering out, which is the opposite of what our goal is. So we choose 6 or 7 meals and know we can have any one of them on any day. 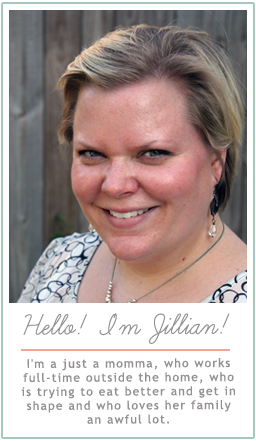 In my meal plan that I shared in this post, I just assign a random day to each meal. We don’t always end up eating it on that day. That actually reminds me, I should add another tip in – we also often do a leftover or scrounge night. That way we can save some money. I meal plan every week and I agree, don’t do it when you are rushed!! I usually do my grocery shopping on Friday and our meal plan for that week starts on Sunday. I do plan a meal for each day of the week, because I can gauge ahead of time what is happening in the evening on those nights, but I do have some quick and easy meals I can throw together if need be. Also, I must have the recipe for the white zucchini boat pizza!!! Where can I find it?! Hi Carrie!! Thanks for visiting! The white pizza stuffed zucchini boats are AMAZING! Here’s the recipe: Enjoy it in good health!! I make a meal plan every week too. I have a page in the front of my recipe binder called “No recipe dinner ideas” for things like tacos or cauliflower that, as the name implies, don’t need a recipe. I also like Cozi for my shopping lists but I haven’t tried others. I like it because my husband can see it too and add things as he needs them. It really cuts down on the, “Honey, don’t forget…” and makes it his responsibility, lol. Thanks for sharing on Merry Monday! I tweeted this out for others. Hey Rachel – I love that idea!! That might make it a ton easier to have a list of no recipe meals all set instead of racking our brains every Saturday. Plus it calculates the nutritional info as you plan, which I really like so that I’m not missing too much calcium or protein or whatever. Hope this helps someone else! Hey Beth!! I loooove that! I have NEVER heard of it and will be adding it to my list of things to try out to make meal planning even easier. Thank you so much for sharing that & for visiting!